Since blogging, I’ve discovered some really great books I’d normally dismiss. I love a good read, especially a romance or a gripping thriller, but informative books were something I’d never really considered. I first read Girl Boss last year after all the rave about it in the blogosphere and was pleasantly surprised. Last Christmas, Jamie got me another book I wish I had read earlier – The Million Dollar Blog by Natasha Courtenay-Smith. 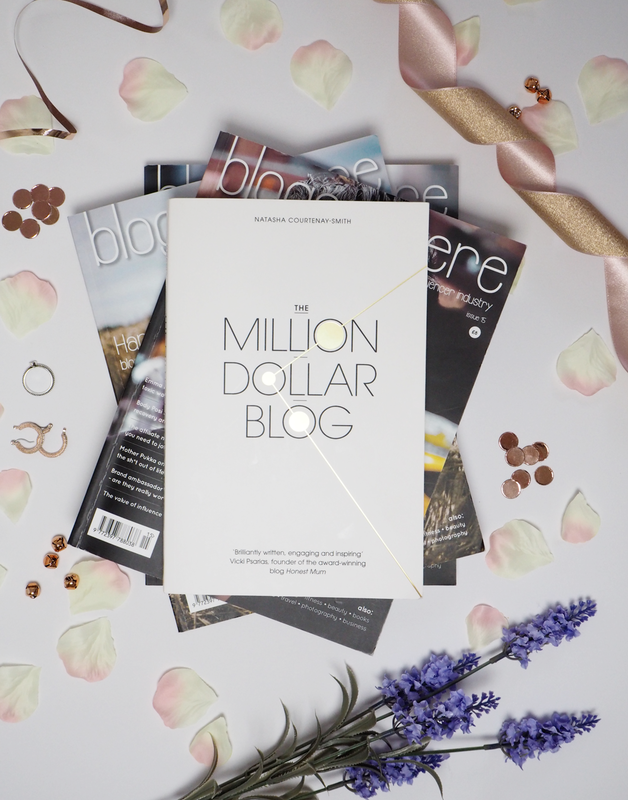 The Million Dollar Blog is a book covering pretty much everything you need if you’re interested in starting a blog. Even though I got this 5 years into blogging, it still taught me SO much and has given me the ideas and resources I need to start considering my blog as more of a business in some ways and taking it to the next level. Part one of The Million Dollar Blog covers the basic – What is blogging? Why should I care? What can I get out of it?, before going into the basics of launching a blog in Part two. Despite already owning a blog, and knowing why I do it, I found it really interesting to hear all the different stories of bloggers and influencers (some of which you’ll know, such as Lily Pebbles and Carly Rowena), how they started out, and how they ended up where they are now. The success stories are amazing! Part two was where I really learnt the most. Natasha covers everything from creating content to getting traffic and using social media to your advantage. Everything is separated well to make sure nothing is too overwhelming and complicated aspects of blogging such as affiliate marketing is explained simply. Again, interviews with big influencers continue in part two, where you can learn a lot from the experts themselves. for just under ten pounds. Have you read this book? What’s your favourite blogger book?